First-of-its-kind foldable handle and 360° rotating lever increases productivity while reducing the risk of injury. Easy and smooth free chaining. Lightweight aluminum housing withstands rigorous use. 100% load tested gold chromate chain designed and manufactured in the U.S.A. by CM. 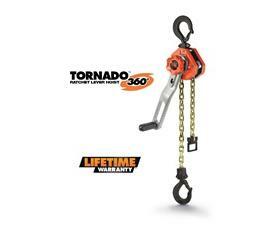 Revolutionary Sidewinder™ lever handle allows for efficient operation in lifting and pulling applications. 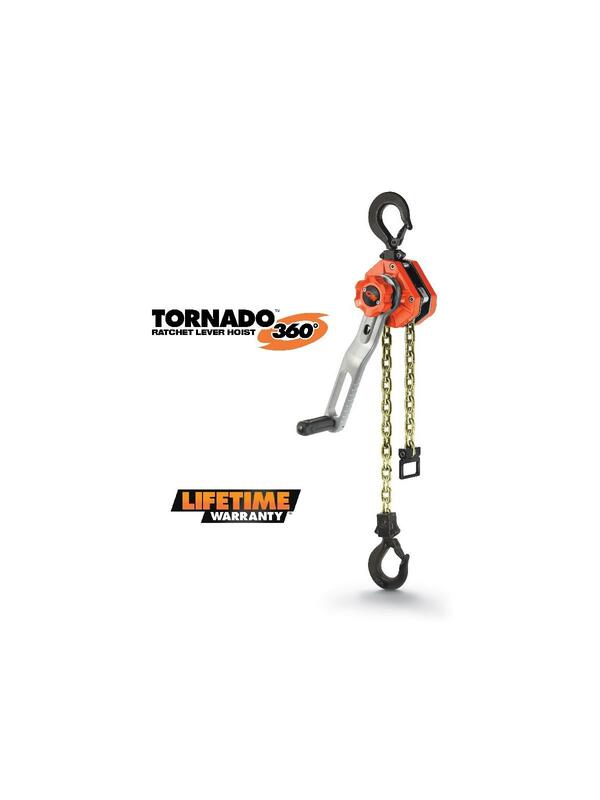 Ergonomically designed, the Tornado 360° lets the operator work up to 12 times faster and with as much as 30% less pull force than with conventional ratchet lever tools. FOB Shipping Point.